Rev. Louis E. Sibley, III comes from a family of preachers. His grandfather, uncle and brother have all served as pastor of Nazarene Baptist Church which is considered his home church. And at the age of 18 years, he was called to the ministry. Dr. Sibley is a native of Alexandria, Louisiana. He is the fourth child of the late Deacon Louis, Jr. and Deaconess Esther Sibley. He attended catholic grade school and public high school. After high school graduation, he attended Bishop College, Dallas, Texas, where he majored in religion and philosophy. He completed his graduate studies at Boston University, Boston, Massachusetts, with a master’s degree in Pastoral Care and Counseling. At Andover Newton, Newton Massachusetts, his post graduate degree was in Psychology and Clinical Studies. While in Boston, he was called to his first pastoral assignment as Assistant Pastor at Ebenezer Baptist Church in Boston, there he also served as Youth Minister. In 1971, he became Pastor of Massachusetts Avenue Baptist Church, Cambridge, Massachusetts where he served eight years as Pastor. He was then called to Emmanuel Baptist, Malden, Massachusetts as Pastor. He led the church in the construction of a new sanctuary as well as being actively involved in community issues. In 1986, he was called to Milwaukee to become Senior Pastor of the Mount Zion Missionary Baptist Church. Under his leadership, the church established a day care and food pantry. He was the impetus for the church addition which includes two hundred seats in the sanctuary and twenty classrooms for Christian Education. The church also provides housing for seniors and low-income individuals with the purchase of the Atlas Apartments, Mt Zion Calvin Courtyard and several duplexes in the neighborhood. His community involvement includes the Milwaukee County Community Services Board and served for three terms as President of Milwaukee Inner-city Churches Allied for Hope better known as “MICAH”. On the local level, he is a member of the Milwaukee Pastors Conference. 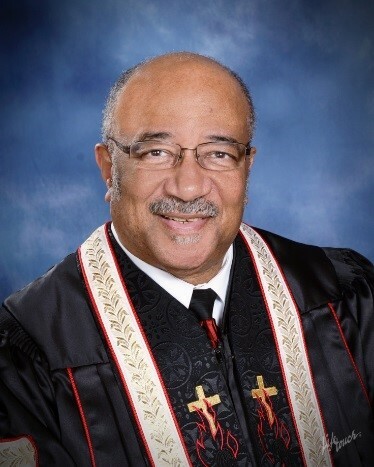 He has served as President of the Wisconsin General Baptist State Convention and is currently First Vice President under the leadership of Rev. Robert Wilson. He is a twenty-year plus member of the Late Night Fellowship, which provides scholarships to young people annually. Nationally he is involved with the People for the American Way and the National Teachers Education Association as a Community Leader Representative. He is married to Barbara Wyatt Sibley and is dad to two wonderful daughters Kelly and Ingrid.